Recap of the Supreme Court’s opinion on when a copyright is officially registered. One side said it is registered when you file a claim with the copyright office. The other side said it is when the copyright office issues a registration certificate. In basic terms, when you get a registration number/certificate (not the initial case number) from the copyright office, its registered. This provides the final answer to when rights holders can file copyright lawsuits. The Supremes’ ruling does not mean rights holders cannot seek damages for infringement which takes place between the time of their application and its approval. This piece is important because in many instances content producers release their work on the same day or shortly after production. 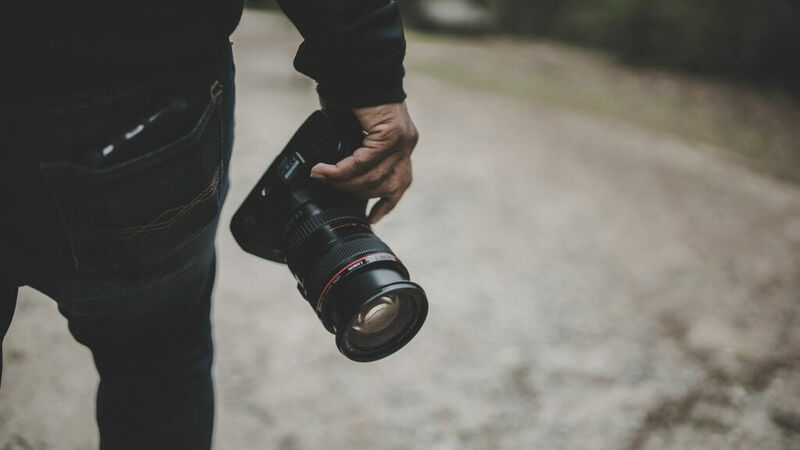 In many instances we see infringement begin at the same time as release and the Copyright Office can take up to a year to process a copyright application. The overlap between the time of infringement and a registration can be problematic because it takes about nine months to get a registration after filing. There are ways to fast track an application with the Copyright Office but there is an $800 cost, a fee that is too prohibitive for even the largest producers. Fourth Estate produces online news articles, which it licenses to various websites while retaining the copyrights to those articles. Wall-Street.com licensed articles from Fourth Estate under a license agreement which required Wall-Street to remove all content produced by Fourth Estate from its website in the event Wall-Street cancelled its Fourth Estate account. In its decision, the Supreme Court agreed with the lower courts, rejecting Fourth Estate’s approach of, to paraphrase, its registered when you file it. “What utility would that allowance have if a copyright claimant could sue for infringement immediately after applying for registration without awaiting the Register’s decision on her application?” Ginsburg asked rhetorically in the opinion. While Ginsburg and the other justices were not unsympathetic to the plight of a rightsholder in having to wait until their application is approved, given the waiting period can be months, the court ultimately determined those waiting periods were unlikely to derail a copyright complaint. They also concluded it’s not the court’s role, but rather Congress, who fix problems which stem from the Copyright Office being underfunded and understaffed. Ginsburg opined that delays in the Copyright Office’s processing of applications are “attributable, in large measure, to staffing and budgetary shortages that Congress can alleviate, but courts cannot cure.” “Unfortunate as the current administrative lag may be, that factor does not allow us to revise §411(a)’s congressionally composed text,” Ginsburg added. 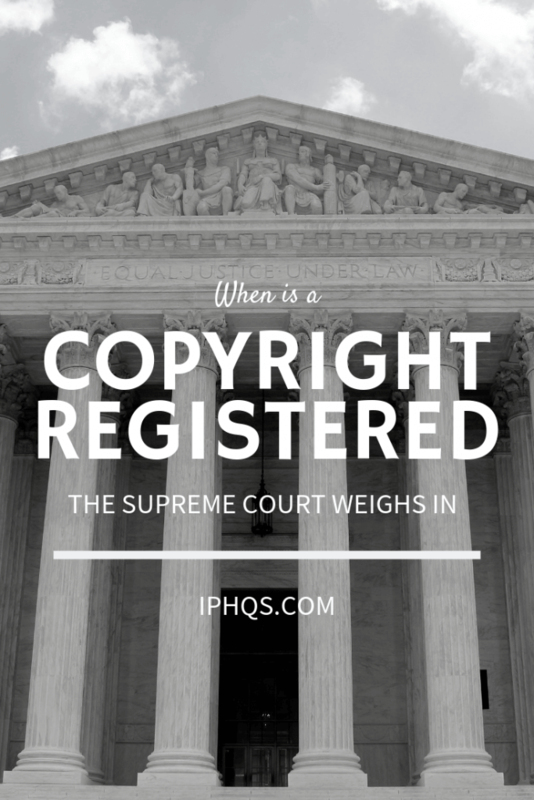 How does the Supreme Courts opinion on when a copyright is actually registered impact you? What Does This All Mean for You as a Business Owner? This ruling reinforces the importance of good habits when it comes to the timely registration of your copyrights. If you are a content producer, keep registering your work within the three-month window. You own the copyright to your works but if you want all of the benefits it can offer, it needs to be registered within 90 days of first publication or ideally, before you release it. Typical registration fees range between $35 to $85 depending on what you are registering. Because benefits can include statutory damages for willful infringement (which can be up to $150,000 per infringement and the award of attorneys fees) it makes the registration fee a small price to pay to protect your work over the long term. If you find that your work is being infringed, then you still have recourse even if getting a registration from the US Copyright Office is delayed a bit. I don’t see this as a problem in that it gives parties time to potentially work towards a settlement. If you have questions, ask them in our Facebook group. Signup to get updated information about our courses and products at www.iphqs.com.You can read the court’s full opinion here.